A little education goes a long way. Learn all about the industries best spray foam insulation by watching these informational videos. Freedom Foam Insulators Spray Foam Insulation uses the highest quality spray foam products by Demilec USA. So whether you are building a new home or renovating your existing home, Freedom Foam Insulators Spray Foam Insulation can help you save money and give your home a tighter air-seal than conventional blown-in cellulose insulation. 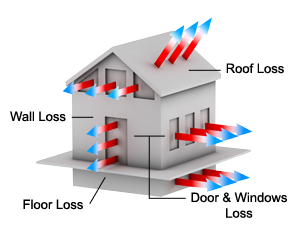 Our goal is to educate home owners of the benefits that spray foam insulation provides. The informational videos demonstrate how foam is installed in your new home using either open cell or closed cell product. If you are wanting to add spray foam to your existing home, we now offer our own retro foam product which you can learn more about here. When you’re ready, please call us and we can provide you with a free estimate and show you how we can lower your monthly utility bills by having your attic, walls, garage and crawl space sealed air tight. Freedom Foam Insulators is an authorized contractor for Gaco Western and installs spray foam across central and eastern Iowa and southern Minnesota.